Take a FREE glass working field trip! The Glass Blowing Center offers free group demonstrations for your group, club, or organization. 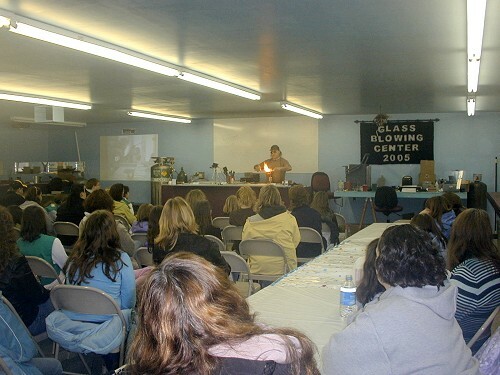 While you can see a glass blower every day in our in-store workshop, our group demonstrations offer a classroom environment in which various glass items will be made while addressing frequently asked questions, followed by a question and answer session. These demonstrations are designed to take some of the mystery out of this ancient art form. Please call to schedule your appointment. High School and University art departments are eligible for our visitor program in which one of our glass blowers will demonstrate and lecture your classes for an entire day.